BoardGameGeek (BGG) is a singular repository of gaming information, knowledge and wisdom that has been serving the modern board game hobby since 2000. I consult it regularly and have used its database to manage my own game collection. I also used it when I was writing my 2016 book on gamified instruction, particularly with regard to the game mechanics that BGG identified and organized content into. While there are more than 85,000 games, even now, there are just 51 mechanics. Since every mechanic offers something to the teacher who wants to use games in the classroom, I'm going to use this section of Game Level Learn and my own contributions to it to assess games from each of these 51 mechanics. Next up? One of the mechanics that is definitely better suited for more experienced game players (and gamifying instructors), Variable Phase Order is a mechanic wherein each game turn is likely to be played in a different order than in previous or subsequent turns. The turn order is determined by some aspect of the game itself, rather than predetermined by where players are sitting at the table or some other way of defining it. These games are challenging because it isn’t just deciding what to do on your turn that influences your decisions. Rather, there’s also the calculus you have to undertake to get a handle on when your turn will actually transpire in the game turn. Much more complex, and interesting to help students get a mastery of circumstances that extend beyond player turns in a system. Every round, a player is going to become a new character in this game of city building. 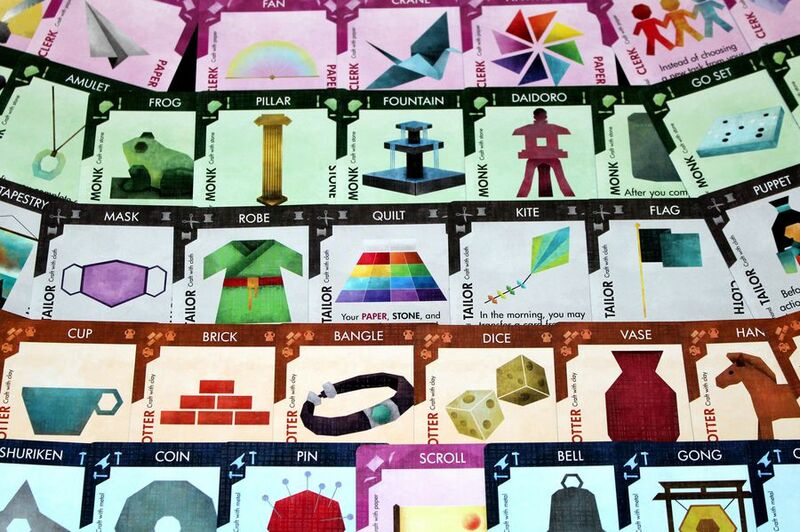 Players are trying to be the first person to build eight buildings in their city and different cards have different abilities. Selecting the right roles time after time is the best way to manage your path to victory in this game, and it can be quite challenging to get a sense of that. Each of these kinds of games really work to develop critical thinking skills, this one perhaps more than most. In Libertalia, you are a pirate captain trying to take advantage of your fellow pirate captains in a race to acquire resources. The challenge? You’re all trying to hire people from the same pool of available characters who act at different times in the course of the game. At least as much about deducing what your opponents are likely to do as anything else, Libertalia is a fun variant on the pirate themed games that were all the rage a few years back…and it can be learned in five minutes. In Mottainai, you are a monk trying to accomplish a wide variety of different tasks in order to achieve your winning objective. Choosing when to act at the right time influences the ways in which your fellow players can act on their turns in interesting ways. This game rewards thoughtful planning even more than the others do. One of the great classics of the board gaming renaissance, Puerto Rico was one of the first games to put this mechanic front and center. In this game, you are playing the role of a colonial administrator building up the colony of Puerto Rico in a variety of different ways. The players select a role to play on their turn and these roles allow you to act each in turn. The “governor” of the island on a particular turn gets to act first and get a special boon as a result, regardless of the action card they’ve chosen to employ. Roll For The Galaxy is the dice version of Race For The Galaxy. In these games, you are building an empire in space based on planets that deliver different advantages. Quite complex, it has a great capacity to reward the clever player.